LGBTIQ people who experience depression or anxiety. Pride is important for all LGBTI people and is particularly so for people experiencing difficulty. Pride can help us through tough times and can create a protective barrier against LGBTIphobia. When we recognise our power to create and affirm our own identities – we are stronger. Pride is infectious. Please share your Pride story. This section of webpage showcases the stories that have been shared with us. Your story can be a short film, a photo, drawing, painting, written word – anything. Alice’s Garage was proud to partner with Rainbow Families to present a Detox workshop at the Better Together, Equality Project Conference in 2018. The workshop invited LGBTI community members (and allies) to reclaim their Pride in who we are. It honoured the body as a site for building strength and Pride. The workshop included a body percussion harmony with percussionist Peter Vadiveloo. A short iMovie will be produced to share images and audio from the workshop – coming soon, with photographs will be taken by Tess Flynn. 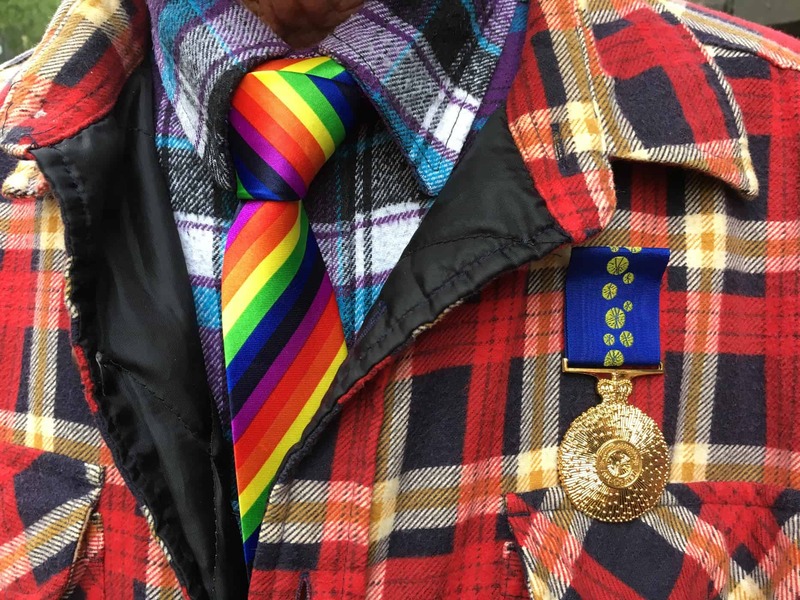 Max Primmer lives in Daylesford and shares his message to LGBTI people living in rural and regional areas – that everyone has a niche or special place where they belong. In this film LGBTI Elder Sally Conning shares her message to LGBTI community members to reaching out in tough times. This beautiful film is the first in our series for Strong House – it show cases LGBTI Elders and Community leaders sharing their stories about tough times in the context of the Postal Vote – and sending the message “We Stand With You”. In October 2017 LGBTI Elders in Victoria were invited to accompany Premier Daniel Andrews as he posted his Marriage Equality Postal Vote. Alice’s Garage helped get the word out to Elders and was there to film the event. This film wasn’t produced for Strong House – but so many LGBTI folk fed back on social media that they found it uplifting – so we decided to include it here.